The Market's selection of wines are premium quality from mainly small producers and limited in nature. This doesn't necessarily translate into expensive. We hand pick each selection after sampling many producers and choose the best quality for the price. 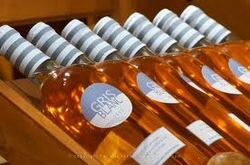 The Market also stocks several high profile wines from Champagne, Tuscany, France and California amongst other countries. 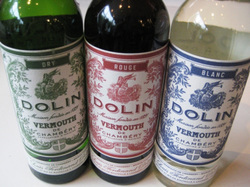 The Boulevard Market stocks small batch Vermouths, Digestives and Aperitifs from Dolin, Lillet, Cocchi and more! SO different from the expected, you'll love exploring these unique beverages! Fee Bitters, Stuffed olives, Pepperoni straws and more are also available at The Market to add depth and interest to your cocktail explorations! The Market is proud to offer Niepoort brand Port as well as Taylor Fladgate, Noval and many more! We offer a full line of Sherry and a few select Madiera with even more to come! These are not your Grandma's after dinner drink any more! Exotic, interesting and affordable, welcome to the world of fortified wines! Try our newest French Banyuls wines! Beautiful and rich, they bring another dimension to fortified wines!